Nashville-based recording artist Trae Edwards has released his new single, “Color Blind.” The song, featuring a powerful, heartfelt duet by contemporary R&B singer Eliz Camacho, is a stirring anthem of racial reconciliation that offers an uplifting message of love and healing. 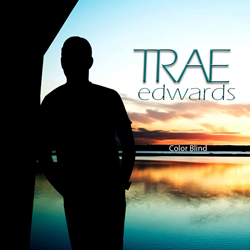 Nashville-based recording artist Trae Edwards has released his new single, “Color Blind.” The song, featuring a powerful, heartfelt duet by contemporary R&B singer Eliz Camacho, is a stirring anthem of racial reconciliation that offers an uplifting message of love and healing. “Color Blind” is available today for purchase and streaming on all digital platforms, including Amazon, iTunes, Google Play, iHeart Radio, Spotify and Pandora. Inspired by the heartwarming true story of an unlikely lifelong friendship, “Color Blind” tells the true story of two southern, Caucasian sisters and the African-American caregiver they met as children in pre-segregation Mississippi. Twin sisters Margaret and Katherine King of Oxford, Mississippi, wrote the lyrics to “Color Blind,” which award-winning composer Geron Davis set to music. The King sisters dedicated the song to their dear friend, Josephine Sanders, who they met in 1957 while spending part of the summer with their grandmother in Vicksburg, Mississippi. Tagging along with Sanders, the kind-hearted caregiver to their great-grandmother, the twins roamed the historic river town by bus and on foot and learned, under Josephine’s gentle tutelage, some hard lessons about life for black Americans in the so-called “separate-but-equal” Jim Crow era. Despite being relegated to the margins of society—forced to sit in the back of the bus and to always walk behind the white children on public sidewalks—Sanders was a shining example of empathy, courage and compassion. In 2014, the King sisters, who had already penned a pair of lighthearted memoirs about their childhood (“Y’all Twins?” in 2012 and “Which Is Which?” in 2013), published their third book, “Our Josephine.” The nonfiction book details their friendship with the woman who had motivated them to lead lives of service to others. In 2017, the twins wrote the lyrics to “Color Blind,” hoping to encourage others to look past differences in skin color and recognize the shared humanity of all races. The lyrics express their vision of a better America in which people like Josephine are not marginalized but celebrated as examples of humankind at its finest. For more information, visit http://www.TraeEdwardsProductions.com. Edwards has had a long and varied career in Nashville. He is a producer, professional photographer and mixing and mastering engineer. He has shared the stage with The Judds, Alison Krauss and Trace Adkins, among others. He also made multiple appearances on the multi-platinum “Gaither Homecoming” series. Edwards’ debut album, “I Believed,” was released in 2013. He followed it two years later with “Voices,” featuring performances by William Lee Golden and Joe Bonsall of the Oak Ridge Boys, Larry Stewart of Restless Heart and others. Davis is an Adult Christian Contemporary composer with a long list of awards, who has created songs for superstars like Barbra Streisand, Bill Gaither, Jason Crabb and countless others. Davis’ song, “Holy Ground,” was selected and performed at the funeral of President Bill Clinton’s mother in 1994.